This week The Two River Times did an article on Highlands again. Specifically on how Highlands Borough and PD is still being run out of Trailers. Gee nothing has changed since the storm. I think I remember they had a meeting at Ptak where they spoke about options and them leaning towards building a brandy new facility. Anybody else? I did a follow up post about it. Unless you have a subscription to the trt you cannot read the rest of the article. Or else I am missing something. Please advise me if there is another way to read it. Because TRT is a subscription based paper it can’t re-oposted in its entirety, so you do either have to pick up a paper or sign up for a subscription. The gist being nothing has changed since the December meeting that discussed this. No talk about the financial differentials or a set plan has been placed in motion since Sandy. There is no excuse for our police and our borough employees having to work in trailers. After two years our council cant work out how to stop spending money on temporary and inadequate accommodation? I am so grateful to our borough employees and our police force for sticking with our town despite the apparent disregard for their working environment. The lack of pre/post planning is scary. If the new ambulances fit, fix borough hall and move the first aid squad to the old fire department bays. Sell the first aid building. I bet someone would love to renovate it for residential use. Or demo it and build new. Of course I support whatever option costs us taxpayers the least amount of money. The reason that there is no current plan is that it took almost 18 months for the borough to hire anyone to look into the cost of fixing borough hall. If you read the blog from December that was linked in this post, the council at that time did not know what the cost was, and that was 14 months after the storm. Why the delay? Is it at the direction of the mayor who has said, ever since the storm, that he is not going back to borough hall and is adamant that we need a new municipal complex, whether we can afford it or not? We are the only town that is not back in our borough hall after Sandy. Sea Bright was back almost immediately and they took on more water than we did. I haven’t heard about anyone, specifically FEMA, giving them a hard time about just repairing to pre-storm conditions rather than seeing what flood mitigation needs there were. Someone post a link if I’m wrong. 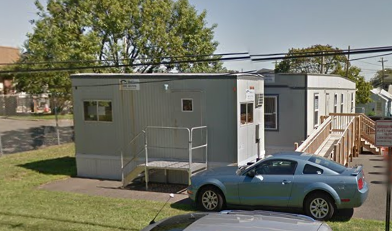 What I would like to know is if our staff prefers the trailers over the old borough hall. Were the conditions in borough hall that bad before the storm? I would also like to know what the council’s strategy will be if/when FEMA stops reimbursing the town for the lease of the trailers. What happened to all the excess space at the Borough school? What a perfect location for municipal offices!